So my friends and I play this game about 4-6 times a year and we like it, though we did think mobility could be some issue. We did try the Tournament Rules movement of 2 squares and found it to be frankly underwhelming and not as balanced as we would like. So we tried introducing a new unit into the game : trucks. It does make some sense historically and I was trying to think up a way to give players a way to choose to commit to mobility. The purpose is that the units can move onto a territory, load into a truck and move another territory so the truck does a one-back one-forward motion. Under no circumstances can any unit travel more than 2 areas in one move. The end result was interesting : it saw action with about 8 units on the map. My friend played AH and by the end had 3 that could move armies effectively enough to counter Italian attacks from two fronts. I had some success with Germany and France made use of a couple later in the game to rush reinforcements in. Overall it seems to offer players a choice of flexibility in that you either choose to buy pure military power and have it walk slowly or you invest in speed and get more maneuvrability as well. We’ll be playing it again that way and it is fun. If you guys want to try it out, I suggest you do or post any questions and suggestions. You’re for all intents and purposes inventing Mechanized Infantry for WWI and that’s not historically accurate… you’re trying to turn WWI Trench Warfare into WWII Blitzkrieg. Trucks may well have existed during WWI, but they weren’t reliable or used in mass in the formation of Mechanized Infantry… yes, the famous Miracle of the Marne episode of September 7 and 8, 1914 is about as close as you’d get to that, but that was incredibly short distance and ad hoc… certainly not something historically accurate as being able to move armies to counter attacks from two fronts as you explained happened in your game. You can certainly invent all kinds of rules to make all things possible, but rather than trying to make mechanized infantry, perhaps look into some sort of custom Rail rules… that would be akin to “mobile” WWI forces… rail was king in WWI for movement. You might want to try some custom rules along those lines… certainly you can make truck units from WWI, but I’d highly argue widespread use of trucks to form highly mobile infantry able to seal up two fronts in quick succession is anything but historically accurate for WWI. normal amount, which also includes loading onto transports. Railroad movement can only be used if starting in a territory with a rail line. Rail movement is allowed into contested territories. Rail lines are considered destroyed if the territory is captured - but can be rebuilt. Rail line can be built between USA and Canada. Do unlimited railroads essentially make the game about holding a massive front like other A&A games with reinforcements dropping in the war zone almost instantly ? If so, this is certainly a historically accurate perspective but a very boring one game wise. Do limited railroads make for a stiff line of mobility and become obvious targets, again creating a stockpile of units ? What I do like about this game is that reinforcement logistics has to be accounted for. It has made for more fluid games. I know I do not want to recreate mechanized infantry and the no-combat value is in place specifically for that, so it makes little sense to build so much it hampers your striking force. The only advantage this method has over limited railroad capacity is some fluidity - again, only some. EDIT : I did forget to mention that trucks are not allowed to Blitz, obviously. That would make it beyond ridiculous. The general fix for the 2 movement for tourney rules to me is not good. _Here’s a rule with two aims: 1. Safeguard Russian production (with some historical precedent) from relatively easy/early/immediate German poaching 2. More setup variety and more interesting potential play at the periphery of the map._ 3. Enable/strengthen KJF and bilateral games. The Rule: During setup, do not automatically place any ICs in non-capital territories. Instead, those ICs (and up to one AA unit/gun that accompanies it) may be placed in any territory controlled by their owner. The choice of where to place any starting ICs can be discussed openly, but should be made in secret and revealed simultaneously by all players. Optional: If the UK does not start with at least one non-capital IC, allow it to place an IC+AA unit as well. I think this works best with some of kind of mild incentive to encourage creative placements, so here are two versions of a bonus (pick one): Bonus version A: Wherever a starting, non-capital IC is placed, permanently increase the IPC value of that territory by one (but not above 3). Bonus version B: Whenever ANY non-capital IC is built or placed (for the duration of the game), permanently increase the IPC value of that territory by one (but not above 3). Tanks are definitely not as good of a buy as they used to be. I think 2 infantry is a much better buy. @oztea: World War 8 LOL! That would be awesome! Wow, you’ve dug up an 11 year old thread. I might have some rules documents if you send me your email (via PM if you prefer some privacy). No promises, but I should have something on my home computer. Haven’t done the research on this, but I’m just throwing it out there. 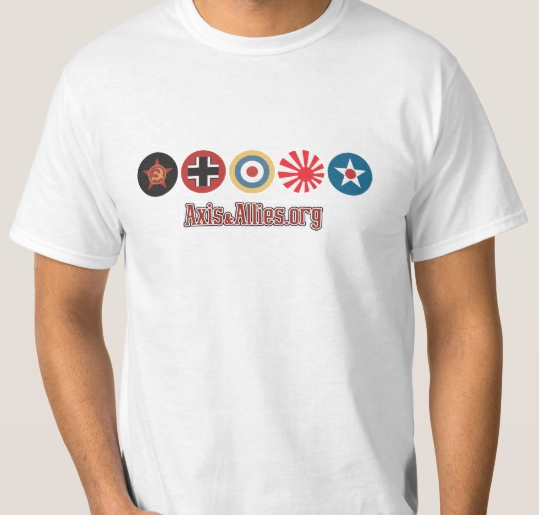 What if the Axis powers together needed a total of 12 VC, instead of 8 in Europe, or 6 in Pacific? Also, Allies only need to capture 2 Capitals to win. Thoughts? Bienvenue au forum! There’s been a similar question asked here… https://www.axisandallies.org/forums/index.php?topic=41247.0 …so as a starting point you could have a look at that discussion thread, which may provide part of the answer to your question. A&A Spring 1942 challenge setups?